Somehow Christmas took me over, as it does many people, and all I read this month were a play, half a book on Israel, and Gertrude Stein’s Three Lives. The last book I gave up before the Israel one was a history book, Post War, not because it was bad but because it was long and after a while I noticed that most of it was lists concluding in a clause beginning ‘above all’. The Israel one – a novel – just had too many stories piled in there, and was the wrong place to go for someone who didn’t understand the historical foundation. Maybe I just don’t like serious books. Maybe language is what I’m after, more than content. Language that sends me. And who better to go to for that than Gertrude Stein? The chances are you can work out from this extract alone whether or not you like Gertrude Stein, because she is all about language like this. Language which discusses in the simplest terms the reasons why people behave as they do, and feel as they do. There is a lot of repetition, because the behaviours and the people described are not consistent, so many fractionally differing truths need to be simply recorded, before the more complex amalgam can emerge. This way, complex language never needs to be used in order to describe it. Three Lives, like Zadie Smith’s On Beauty, is based on an earlier book, in this case Flaubert’s Three Tales. This time I didn’t read the earlier book first, so I may have missed something, even most things, about the adaptation (if that’s the word for the book of the book). 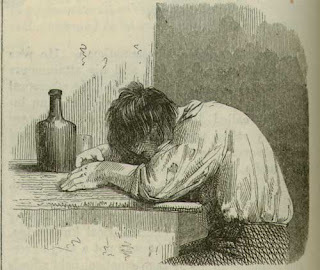 It takes the form of three separate stories, all set in Bridgepoint (based on Baltimore, the introductory essay tells us), and all concerning poor women. The structure is symmetrical, down to the stories’ titles: The Good Anna, Melanctha and The Gentle Lena. Good and gentle Anna and Lena work as maids (which gives them a satisfaction approaching happiness), and their stories are relatively short. Melanctha doesn’t work, or if she does it is not mentioned, and her story is longer than the other two combined. Anna and Lena are German immigrants, Melanctha is black. All three women are unfortunate to some degree. Two are fiercely independent; Lena barely has a mind of her own. She makes a fair point, and you can hear the panic in her voice. It is scarcely realistic: no-one would speak like that, no matter how sloppy their grammar. Rather, it is another expression of the possibilities present in this situation, the love between Melanctha the spontaneous woman, and Jeff the cautious man. Take the fragment ‘how the way a woman is really made of’. This offers in it three possible statements: ‘how a woman is made’, ‘the way a woman is made’, and ‘what a woman is really made of’. There are only two senses here – the first two mean the same thing. 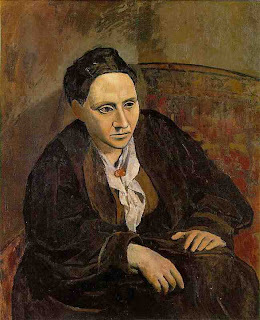 It’s difficult not to think, given Stein’s interest in Cubism and her appearance in Picasso’s famous 1906 portrait (Three Lives came out in 1909), that she is attempting the verbal equivalent: to show many sides of the same situation simultaneously – or as simultaneously as a time-based art form like fiction will allow. She doesn’t do this to show off, but because love is like that: when Jeff gets on his high horse, threatens to leave, puts his arms around her, says he still means all he said, it is inconsistent, but realistic. People have reactions to their own actions, and what they see as the likely consequences. They react based upon one set of circumstances, and change them in doing so, giving them something new to react to. Melanctha and Jeff tie themselves up in knots of loving, doubt, suspicion, understanding, misunderstanding, and ultimately it is all too much: by stages their love comes apart. Plays, eh? The last time I went to theatre was to see Sweet Bird of Youth, a month or two ago, and I would have written about it here, but oh man, it was depressing. Suspicious and malicious, characters tearing themselves apart, and nowhere for the audience to invest any sympathy. The thing that gets me is the assumption that bad circumstances and an emotional (or just shouty) rendition of them will produce something of interest. I’ve a friend who, when he first went to University, couldn’t move for people wanting to confide that they were on Prozac: ‘Look at me! I’m fucked up!’ It’s a way of forcing civility, I suppose, and even encouraging a return performance of circumstantial affection. A lot of plays do the same thing. Unlike a novel, which can take its time and wind its way into your heart over the course of a few weeks, a play has two, three hours, so it has to up the histrionics. That’s the negative way of putting it, and when these mundane kind of tensions are apparent from the audience, something has gone wrong. When they are not, the directness of the medium is all in its favour. Long Day’s Journey into Night reads like it would work. Presumably it has a track record of doing so, but I don’t know anything about that (I picked it up because Kevin Spacey made his new A Moon for the Misbegotten sound tantalising on the radio the other week, and because Kevin Rowland lists Eugene O’Neill in ‘Burn it Down’ in a righteous way). In it, nothing good happens. The lives of the family it dramatises are in what would seem to be a steep and permanent decline. They grumble about each other, they drink to excess, one of them (youngest son Edmund) is dying of TB but drinks large quantities of whiskey regardless (conjuring an anatomically incorrect image of alcohol eating into brittle lungs), and the mother Mary (ha ha) is a morphine addict. The father is disliked by all for being rich but miserly, a fact which is blamed upon his own father’s abandonment of his mother when he was still a small boy, and the poverty which ensued. His children and his wife blame all their ills on this miserliness, which is unnecessary as James Tyrone has become rich as a popular if unfulfilled actor. He flinches when someone leaves a light on unnecessarily, keeps tabs on the level of the whiskey in the bottle, and tries to get Edmund treated as cheaply as possible. He’s as tight as they come, but he’s not entirely a monster. Are we really to take this as a set of instructions for the producer? It’s as though O’Neill is having a pre-emptive tussle: no corset, no make-up, a face which doesn’t match the body. See if you can stage that. Stage directions are similarly specific throughout, often explaining how dialogue is to be played and leaving little leeway for interpretation. The lack of action in the play is another indicator that what is being attempted here is pure description, and it’s this which gives it its remarkable strength. We see a family which has fucked up. It’s nobody’s fault and everybody’s. James has an excuse for his miserliness, and this miserliness is the catch-all excuse for everyone else’s problems: Mary wouldn’t have ever taken morphine if it hadn’t been for the quack doctor James got in for her after Edmund’s birth; Edmund would stand a better chance of surviving TB if sent to a more expensive clinic; Jamie... well, Jamie’s a drunk and would probably be worse off without his father’s limited patronage, but this doesn’t stop him complaining about it. And complaining about it one minute doesn’t stop him from becoming lucid and affectionate the next. The characters do all care deeply for one another, but they just don’t do each other any good. This is the hook, and I was skewered.